What is the Cleveland Metropolitan Planning Organization? Cleveland Urban Area Metropolitan Planning Organization (MPO) is responsible for all transportation planning projects, plans and services in the Cleveland “Urban Area”. A map of the Urban Area is available on this website. The MPO has a technical committee of representatives from City of Cleveland, Bradley County, The Cleveland/Bradley Chamber of Commerce, The Southeast Tennessee Development District, The Southeast Tennessee Human Resource Agency, The Tennessee Department of Transportation, Federal Highway Administration, and Federal Transit Administration. The MPO also has an Executive Board consisting representatives from the City of Cleveland, Bradley County, The Southeast Tennessee Human Resource Agency, and the Governor’s representative. 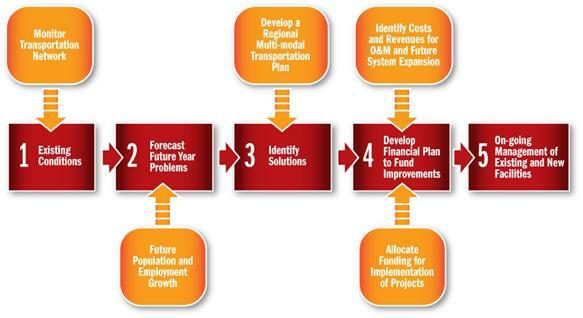 The MPO carries out the 5-step planning process to ensure that transportation projects, plans and services are successfully implemented. Below is a link to a flowchart diagram that illustrates the transportation planning process that is carried out by the MPO. Please click on the thumbnail to open the full-size diagram. By 2040, Tennessee is projected to have an additional 2 million people and be the 15th most populous State in the United States. With this growth will come increased economic and community development challenges as well as issues related to planning and accommodating future demand. One key challenge will be providing and maintaining the quality transportation system that the traveling public and businesses in Tennessee have come to rely upon. 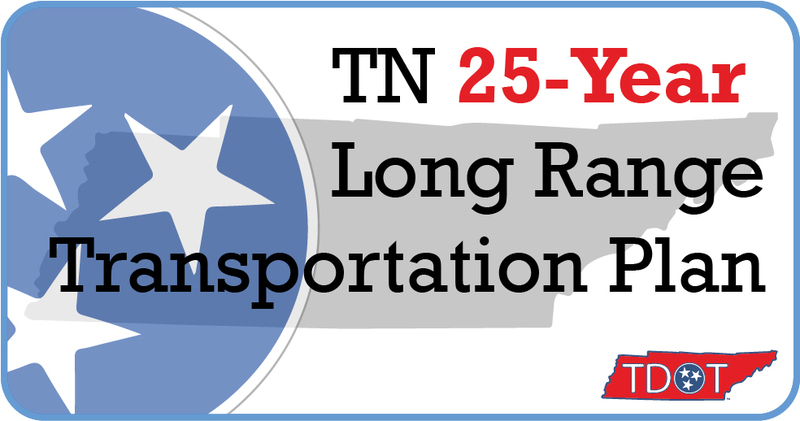 In response to this projected growth and demand, the Tennessee Department of Transportation (TDOT) wants your input on the development of Tennessee’s next 25-Year Long-Range Transportation Plan (LRTP). The Plan will take a look at changes in population, demographics, the economy, technology, land use, departmental policies, and other variables to develop a data-driven roadmap to guide their efforts over the next 25 years. An online survey is available for receiving input on transportation needs in Tennessee. To learn more about the 25-Year Long-Range Transportation Plan and take the online survey visit TDOT’s Plan website at: www.tdot.state.tn.us/transportationplan.